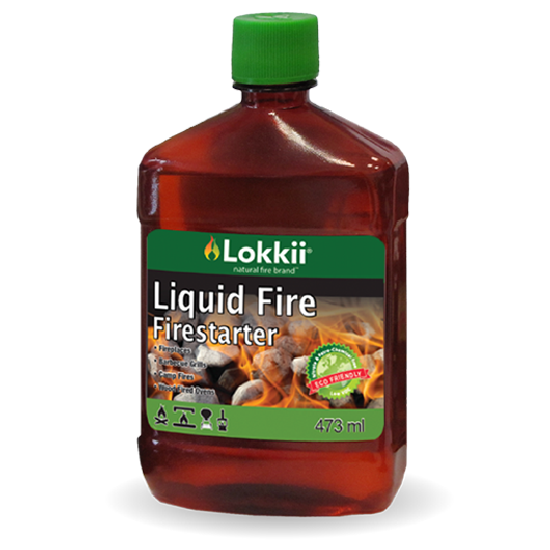 Lokkii's Liquid Fire firestarter is a 100% organic. 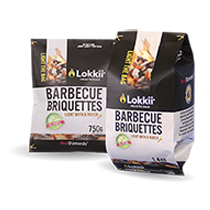 Whether you're looking to start up your grill, toast some marshmallows, or get cozy by the fireplace with your family and friends, Lokkii's eco-friendly liquid firestarter should be your firestarter of choice. 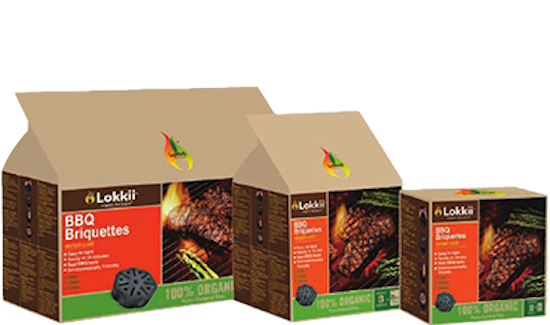 Living green is made easy with Lokkii's organic fuel, the perfect replacement for traditional charcoal lighters and petro- chemical firestarters. 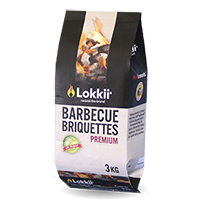 Lokkii's Liquid Firestarter being 100% organic, when used as the ignition liquid for regular charcoal barbecues, does not transfer a chemical taste into the food you eat! Q1. 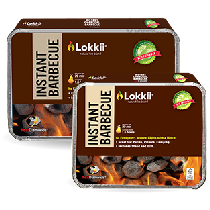 What is Lokkii® Liquid Firestarter? 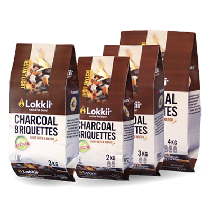 Lokkii® Organic Firestarter is a 100% Natural Liquid suitable for starting Charcoal BBQ, Indoor Wood Fireplaces, Wood Pellet Stoves and campfires. Q2. Is it really natural? 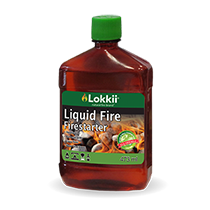 Lokkii® Liquid Firestarter is 100% natural and environmentally friendly. 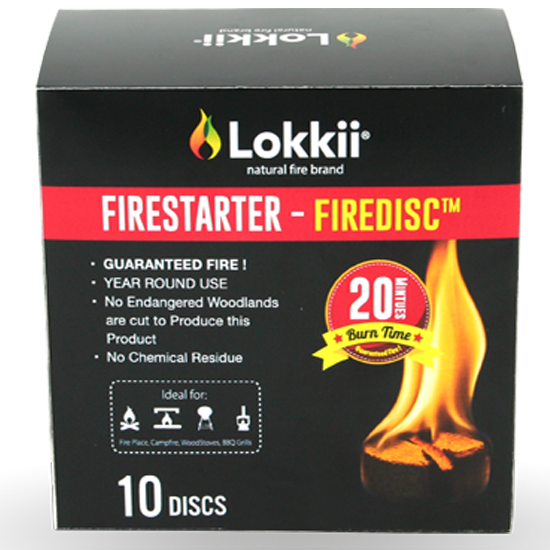 The firestarter is made from plant and organic extracts. Q3. How do I use the firestarters? 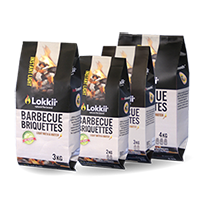 Squirt the Lokkii® liquid onto the charcoal, firewood or wood pellets; ensure the material you are squirting the liquid onto is not hot or burning. 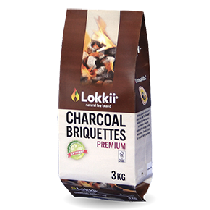 Never squirt the liquid onto hot coals or a naked fire. Just light the firestarter with a regular match or lighter. Q4. How safe is it to use? 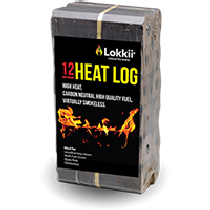 The flash point makes the Lokkii® liquid firestarter extremely safe to use and store, unlike petroleum based firestarters. Q5. Can I use the firestarter indoors? 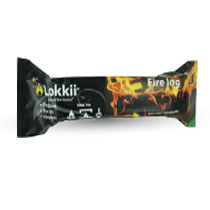 Yes, Lokkii® Liquid Firestarter is a year round firestarter and is suitable to use with indoor fireplaces.